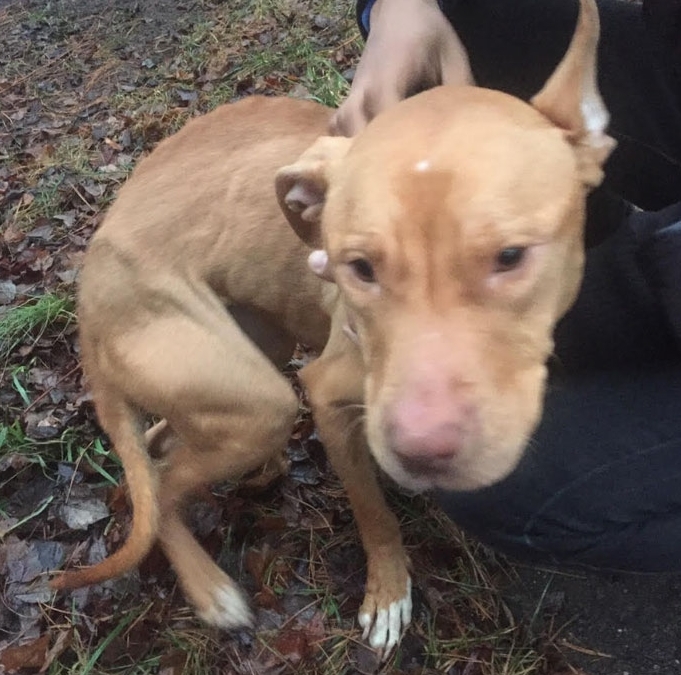 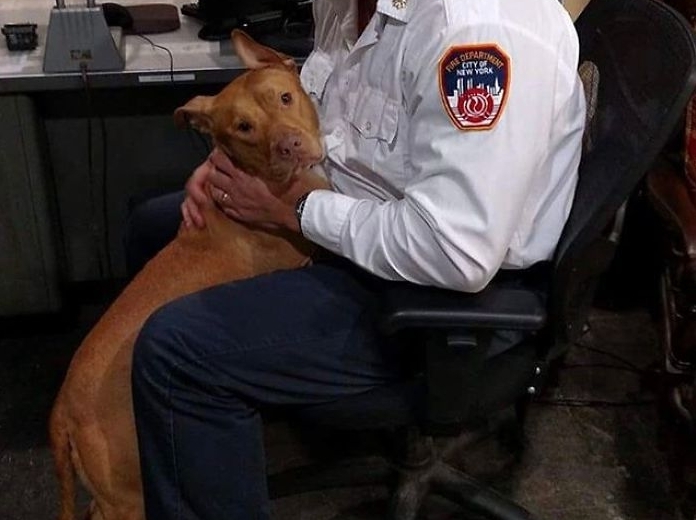 When Ashley the pit bull was found starving and cold in an abandoned home, a firehouse in New York agreed to take her in until her rescuers could find her a family. 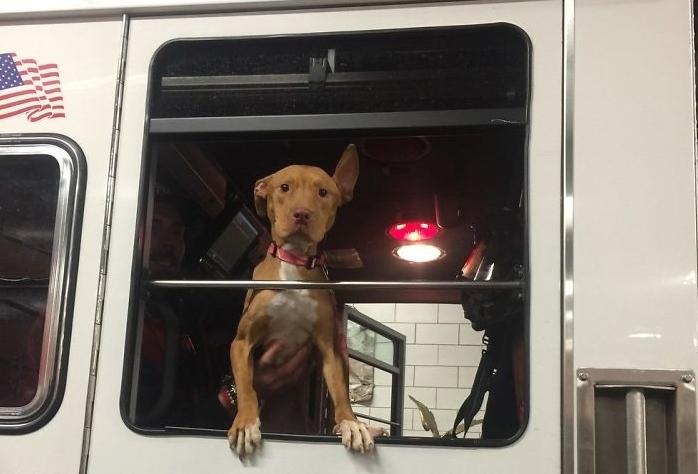 3 days later, they adopted her. 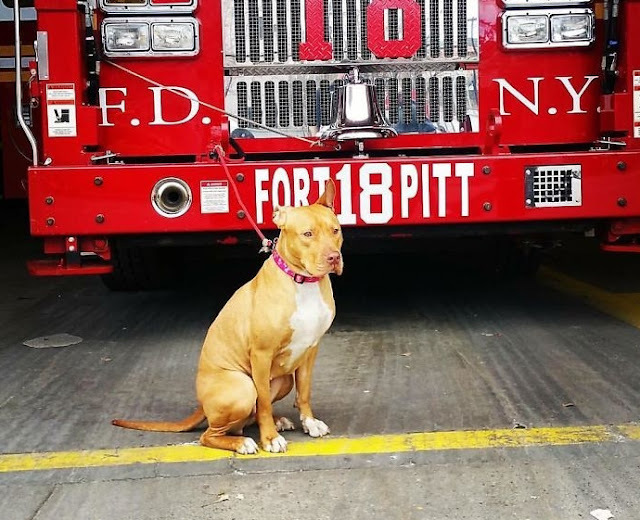 The New York City Fire Department station, known as Fort Pitt, fell in love with Ashley from the first wag of her tail. 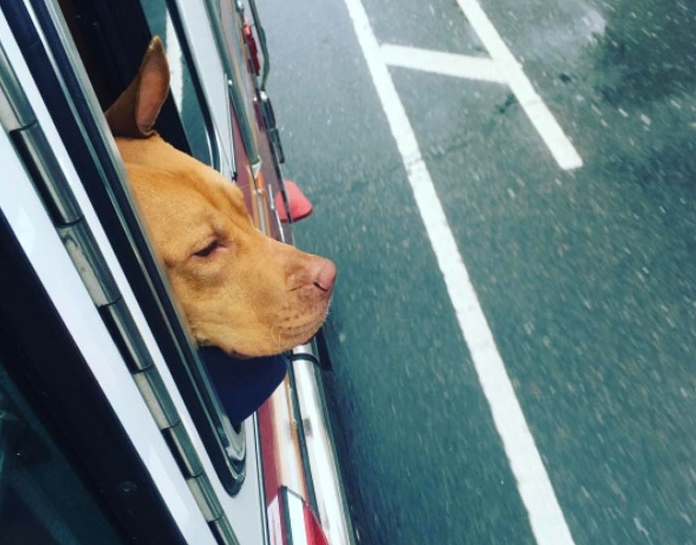 A beautiful sand-coloured pit bull, she has truly become part of the team, and even has her own seat in the firetruck. 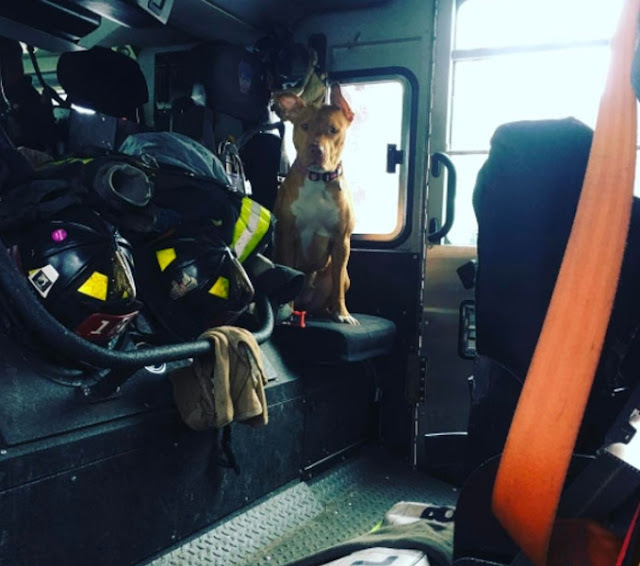 Ashley also has her own Instagram account where you can follow all of her firefighting adventures. Ashley was rescued by No More Pain, a New Jersey organisation dedicated to saving and relocating animals left to die. 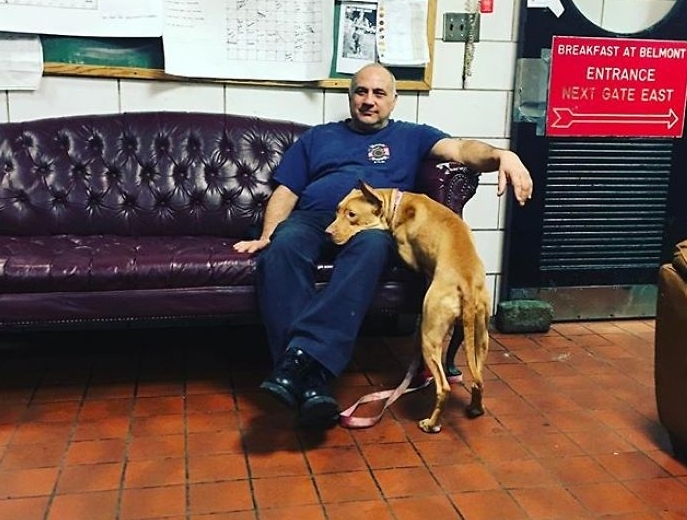 She was only supposed to stay until a permanent home for her was found… But 3 days after her arrival, Fort Pitt station decided to adopt Ashley. The crew fell in love with her from the first tail wag, and she connected with them right away as well. Responses to "Starving Dog Left To Die By Her Owners Becomes A Firefighter"